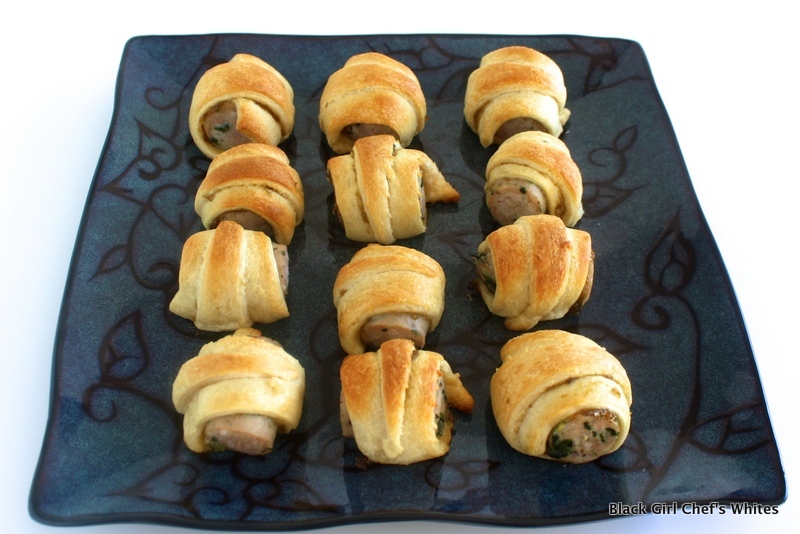 Would you nibble on these Chicken Sausage Pigs (or chicks) in a Blanket? What about these Chinese Lap Cheong Pigs in a Blanket? With some delicious Homemade Thai Sweet Chile Sauce. 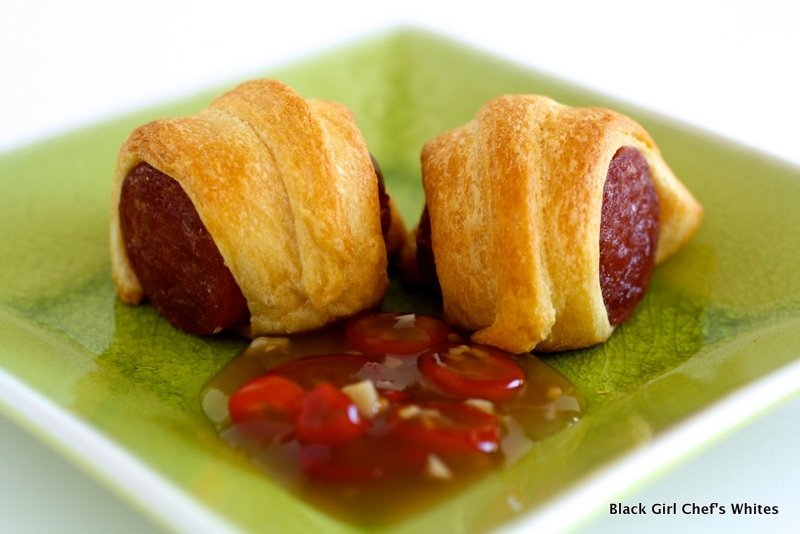 Pigs in a Blanket are the quintessential party food. They are bite sized treats. 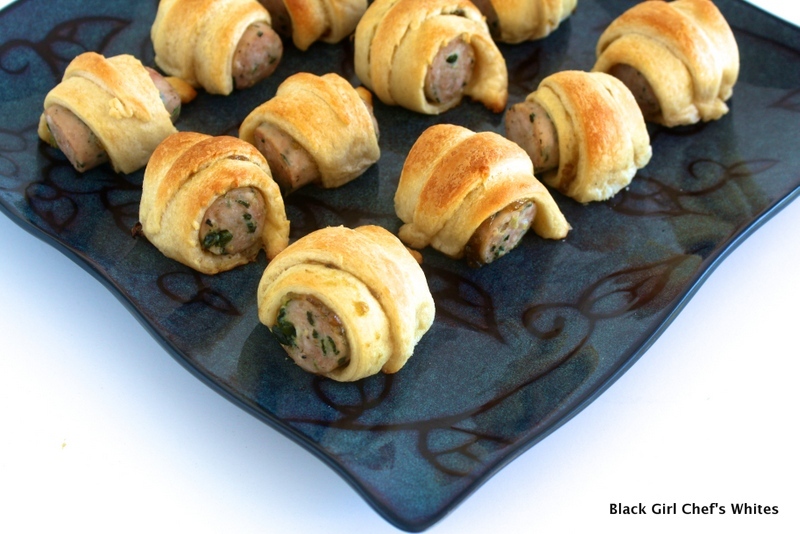 Savory chunks of meat, rolled in flaky dough and baked to a golden brown. What’s not to love? 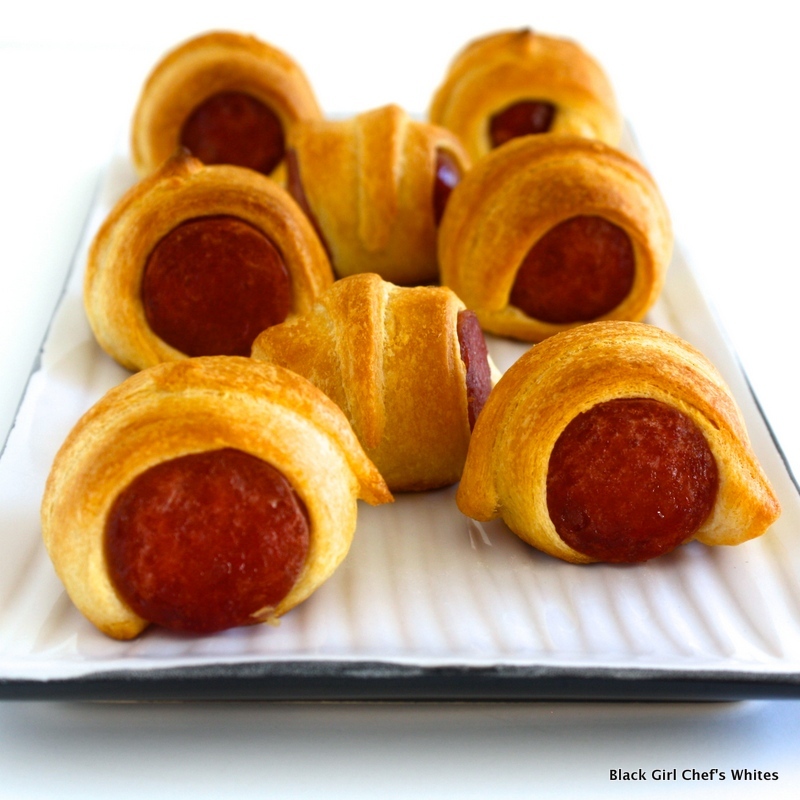 These pigs in a blanket are for grown folks, in other words, no kids allowed! Well, actually kids will probably love them too, but I think they will shine brightest being passed on a tray at a cocktail party. Or maybe I just like cocktail parties. Lap Cheong is a dried Chinese sausage easily found in Asian markets. Because it is dried, an unopened package can last for a year on the shelf. Once opened they need to be refrigerated. If you do not have access to an Asian market, you can find the sausages for sale online. I used a chicken sausage flavored with spinach and garlic, but almost any chicken or turkey sausage will work. Hot pepper jelly can be found in most supermarkets. I used a delicious Hatch Chile Pepper Jelly I had in my pantry. 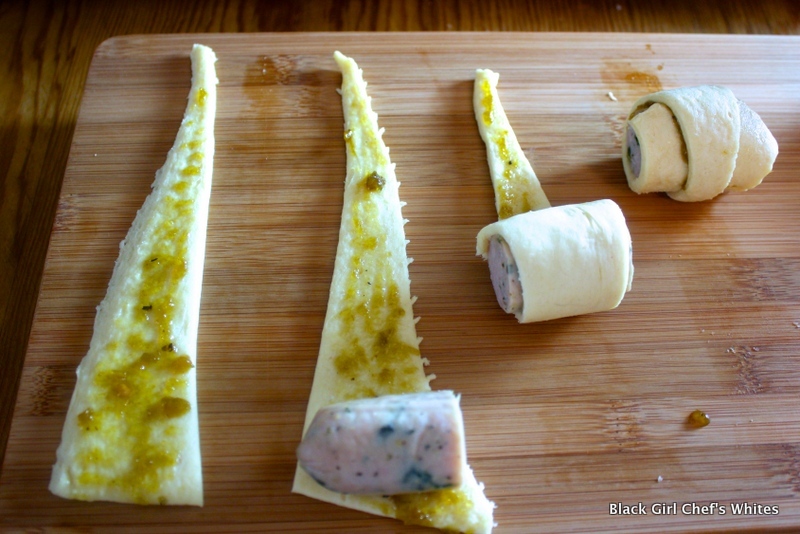 Slice the sausages into 1″ pieces, set aside. Unroll one package of crescent rolls on a clean, dry surface. Separate each roll, then cut them in half lengthwise. Take one piece of lap cheong and place it onto the large end of the triangle of dough. Roll the sausage up in the dough, then place onto a baking sheet. Repeat with the remaining lap cheong. Unroll the other package of crescent rolls, and follow the instructions outlined above. Brush each triangle with hot pepper jelly. Roll the chicken sausage pieces in the dough, following the instructions above. Bake them for 13-15 minutes, or until dough is golden brown and cooked through. These look fantastic Cheryl! Will definitely put these on the party food list!